Definition at line 283 of file types.h. Definition at line 285 of file types.h. Definition at line 290 of file types.h. Definition at line 292 of file types.h. Definition at line 291 of file types.h. Definition at line 286 of file types.h. Referenced by disk_close(), disk_query_directory(), disk_query_volume_information(), and NotifyInfo(). Definition at line 289 of file types.h. 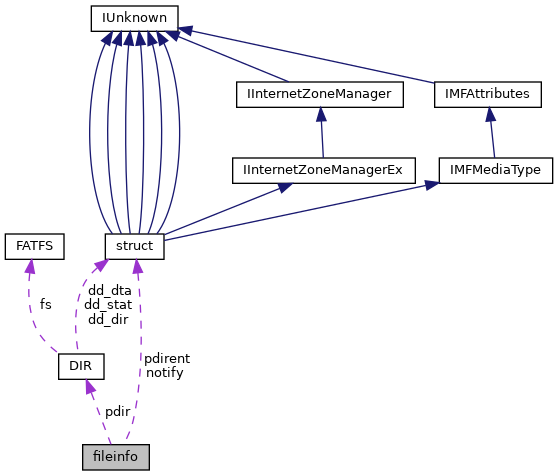 Referenced by disk_check_notify(), disk_close(), and disk_query_directory(). Definition at line 288 of file types.h.